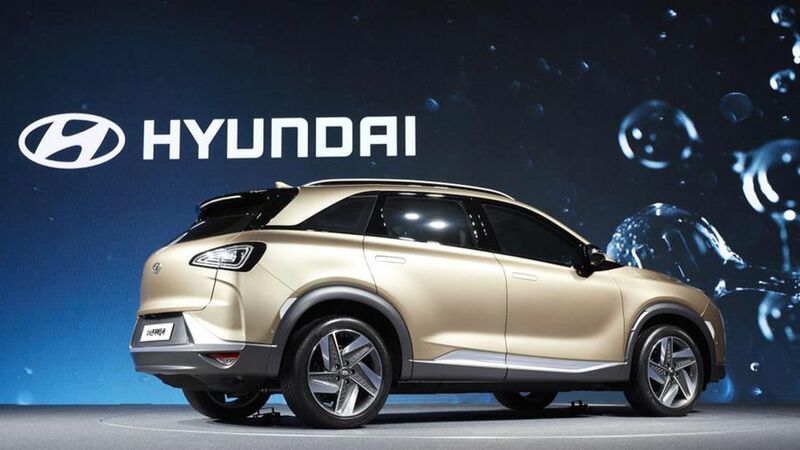 Following on from the ix35 FCV, which has been sold in the UK for several years, a new hydrogen Hyundai is set to be unveiled next year, with a range of up to 500 miles. Hyundai has given an early glimpse of its next hydrogen fuel-cell vehicle, showing off this near-production model in Korea. Although the company is yet to reveal the new model’s name, it has confirmed the finished article will be officially launched in January next year at the Consumer Electronics Show in Las Vegas. Hyundai has been selling fuel-cell vehicles since 2013 and now sells them in 18 countries, including the UK, where the ix35 Fuel Cell Vehicle (FCV) has already been on sale for a few years. 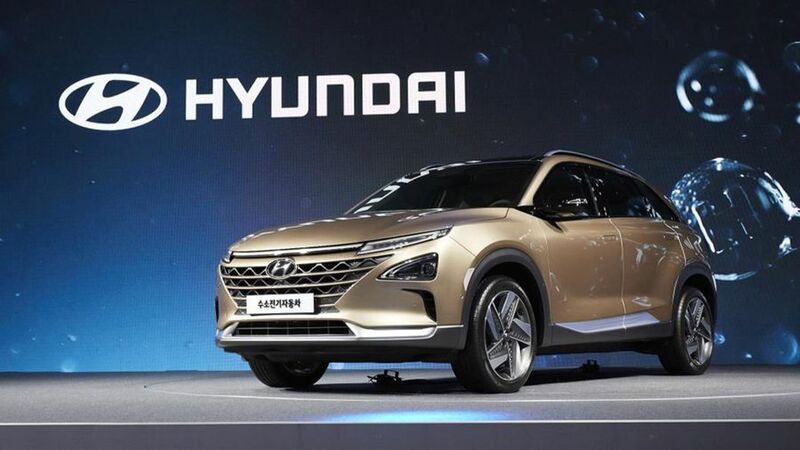 The new SUV will be the company’s second commercially produced hydrogen model and uses the company’s fourth generation of hydrogen fuel-cell technology. In developing it, Hyundai focused on four areas: the efficiency of the fuel cell system, its performance, durability, and tank storage density. Compared to the ix35, the new model is claimed to be 9% more efficient, which means it should have a range of 500 miles in official tests. At the same time, not only is the new model 20% more powerful than its predecessor, with 163PS, Hyundai says it also works better at cold temperatures and can store more hydrogen fuel on-board. The company also says, in addition to all this hydrogen-related technology, the new vehicle will feature the latest driver assistance technologies. The details of the new system will be disclosed, along with the new model’s name, in January. According to Hyundai, the look of the model unveiled in Seoul is inspired by nature and designed to reduce its wind resistance. Inside, meanwhile, the company has concentrated in creating what it describes an uncluttered, calming feel, using environmentally-friendly materials. The new model forms part of Hyundai’s plans to follow on from the Ioniq and launch a range of hybrid and electric vehicles in the next few years, starting with an electric version of its new Kona small SUV next year. There’s no confirmation on whether this new hydrogen SUV will be sold in the UK, or on how much it will cost if it does, but we’ll bring you further news once the production car is unveiled next year. Interested in buying a Hyundai ?